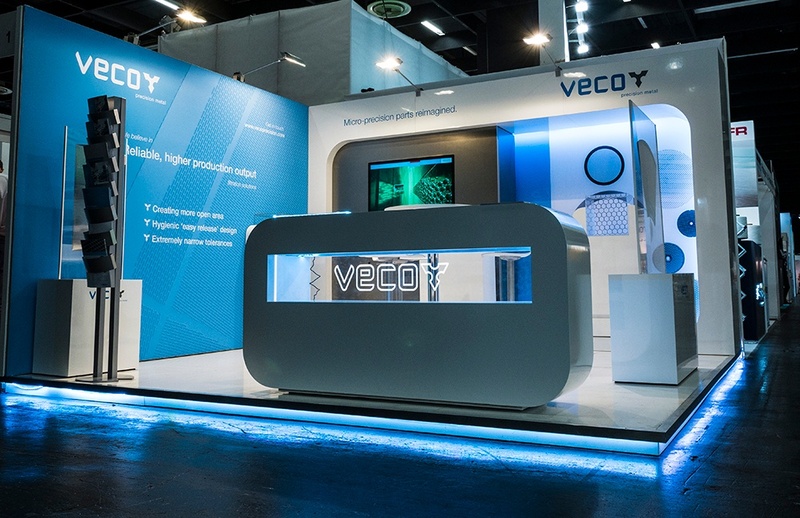 Last week, Veco was present at the Filtech in Cologne, Germany. Filtech is the largest and most important filtration event world-wide, an annual event for everyone involved in the development, procurement and research of the latest filtration and separation products, equipment and services. With a long history in filtration and with the goal of continously developing our capabilities within this evolving market, being present at this event was inevitable and has lead us to great opportunities. Moreover, we were proud to show our new stand - specifically aimed towards showcasing our capabilities in filtration. Over the following decades Veco developed a vast range of products for the filtration industry. Ranging from large sets for sugar sieve centrifuges, to coffee filters with triangular shaped holes for the best crema on your espresso coffee and to fine mesh nebulizers used in the medical industry. Traditionally our technologies were limited to nickel substrates. However, customers kept telling us about the excellence of our products and constantly kept requesting us to achieve the same with stainless steel. During the last decade we have extensively researched and expanded our material range and technological capabilities to serve our customers in the best possible way. At Filtech we proudly presented our tradional strenghts in filtration, but now with capabilities in food grade stainless steel 316L. 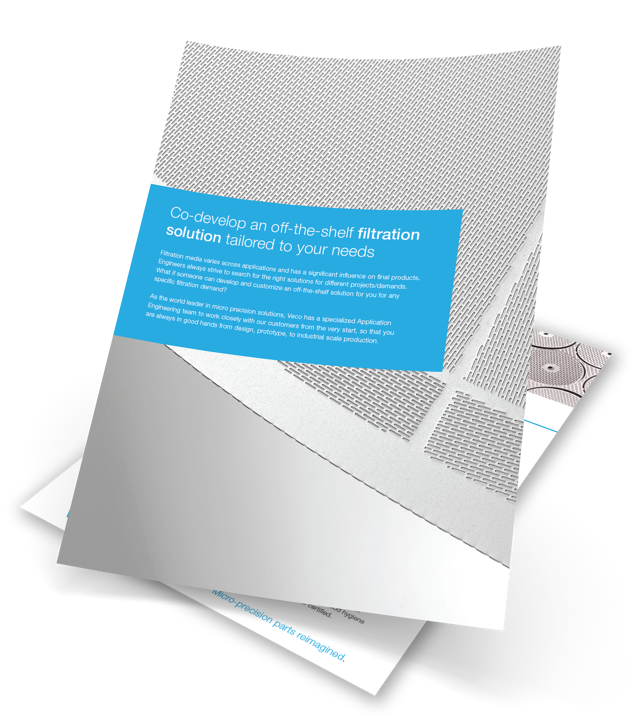 Our filtration solutions result in higher open area, hygienic easy release design and extremely narrow tolerances. Altogether, you'll be able to achieve higher production output.